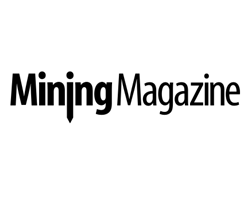 April 10, 2019 - Today we are looking at some of the providers of material handling solutions for the mining industry. For more information on the exhibitors, such as booth numbers, see the official Bauma website here. At Bauma, Rema Tip Top will present a system for digital, proactive monitoring and maintenance of conveyor systems, with modern sensor technology from Rema MCube and the associated Rema CCube software. The conveyor system goes through the cycle of monitor, maintain and manage (MCube), while the reporting that is based on this consists of the phases command, control and communicate (CCube). Digital and cloud-based monitoring enables plant operators to detect and eliminate critical loads at an early stage in order to prevent belt damage. In addition to the service life of the material, productivity can also be increased, the company said. With REMA MCube downtime caused by unexpected damages such as longitudinal rips can be significantly reduced. Through a fast automatic shutdown, the length of the damage is limited and the repair can be performed within a reasonable period - in the main conveyor section a decisive factor in securing availability and productivity of the entire system. For this purpose, the company offers Rema Tip Top conveyor belts of the brand DBP that are fitted with sensors, as well as electronic monitoring systems. Rema Tip Top says a highlight at the exhibition stand will be live demonstrations of RMS; the modular wear-protection system guarantees long operating times with minimum maintenance requirements - even in demanding applications with broken or sharp-edged material. Visitors will be shown on site how, in the event of excessive strain, individual modules can be easily replaced upon an indication from the monitoring system. Rema Tip Top will also be presenting other products from the material-processing sector that are tailored to customer needs. Examples include REMALOX HD wear protection for absorbing impact energy, or the rubber lining material Rema PERFORMANCEgrip. The Schmersal Group will be demonstrating its new HDS switchgear series for heavy industry at Bauma. The modular series unites a range of functions into a single platform, making it suitable for an extremely wide range of applications. The basis of the new platform is the standardised enclosure concept, which is available in two versions: plastic (Duroplast) and grey cast iron. The robust grey cast iron version is suitable for industries such as mining or bulk materials and extraction. The function range is also divided into two basic versions: the emergency-stop, designed as a pull-wire switch, and the position monitoring. The basic switch on the position monitoring version can be flexibly combined with a range of actuation elements. Typical application areas include emergency-stop deactivation, belt misalignment monitoring in the transport of bulk materials, end position monitoring in steel making and level monitoring in material silos. The Schmersal Group will also be presenting integrated system solutions for the mining, cement, bulk goods and conveyor industries in conjunction with its sales partner ScanMin Africa for the first time. Schmersal entered into a cooperation with South African company ScanMin Africa in 2016. The wide range of products offered by the two companies complement each other and include systems for personal and process safety and analysis instruments for the conveying of bulk goods on an online, real-time basis. ScanMin Africa specialises in radio-isotope mass spectral analysis of materials like coal, cement, minerals and ores. This technology can be used to generate real-time information for process control and also for quality controls on live systems. By contrast, the extensive range of Schmersal products and solutions for the bulk goods conveying industry focuses on the protection of employees and processes. For example, its emergency stop cable switches guarantee the safety of operating personnel, while belt alignment switches reduce system failure times and downtimes. 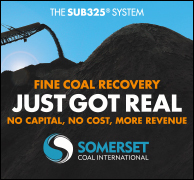 Sempertrans will be showcasing its heavy-duty mining products as well as its latest innovations at the show. For example, its newly developed XCG cut and gouge compound will be featured - this has been used for the conveyor belts transporting primary crushed copper ore at First Quantum Minerals' Cobre Panama copper project in Panama. Christian Ullmann, head of technical at Sempertrans, says: "The impact resistance is 20% higher than in standard conveyor belt covers while maintaining an excellent abrasion resistance." The company's aim for Bauma is to show the strengths of its engineered conveyor belts. Ullmann declares: "From impact- and abrasion-resistant conveyor belt solutions, we can tailor our products to suit our customers' applications and create added value by improving efficiency and safety performance of their entire conveyor system." Sempertrans' R&D focuses on developing innovative conveyor belt compounds, like the energy-saving TransEvo or an environmentally friendly lead-free compound. "TransEvo significantly reduces the so-called indentation loss at the idler stations, which is responsible for up to 60% of the overall running resistance of the belt," explains Ullmann. "This technology can reduce the power consumption needed to run the conveyor system by up to 25%." The company's Transpipe belt is another engineered solution for material and environmental protection. It is loaded like a regular conveyor belt and then formed into a pipe shape - this allows enclosed material transport while providing several other advantages over conventional conveyor belt systems. Ullmann says: "Our specially designed constructions and compounds for this application ensure to provide the longest lifetime possible." In general, conveyors can be the most efficient means of transporting bulk materials. "When compared to truck transportation, conveyors bring many advantages," notes Ullmann. "They are not only more cost-efficient, faster and safer, they also show higher availability and are more environmentally friendly." thyssenkrupp Industrial Solutions is introducing a number of new solutions for the minerals, mining and aggregates industries at Bauma. 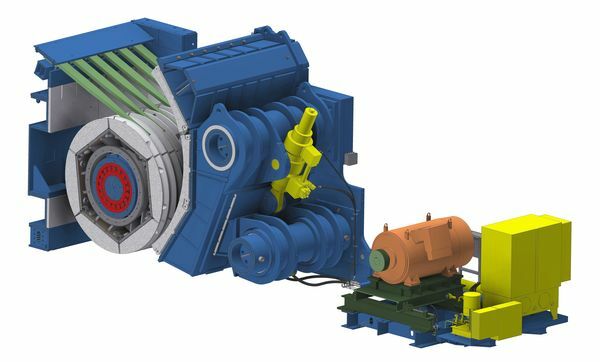 With its new eccentric roll crusher (ERC), thyssenkrupp has developed a solution for the primary reduction of hard rock and ore. The new crusher is particularly compact and robust. Its patented design with an integrated screen permits throughputs between 600t and 8,000t per hour. Suitable for use both underground and in surface operations, the ERC offers higher efficiency and flexibility than conventional primary crushers in the processing of hard rock, the company said. In addition, thyssenkrupp will present its new mobile stacking bridge lizard. 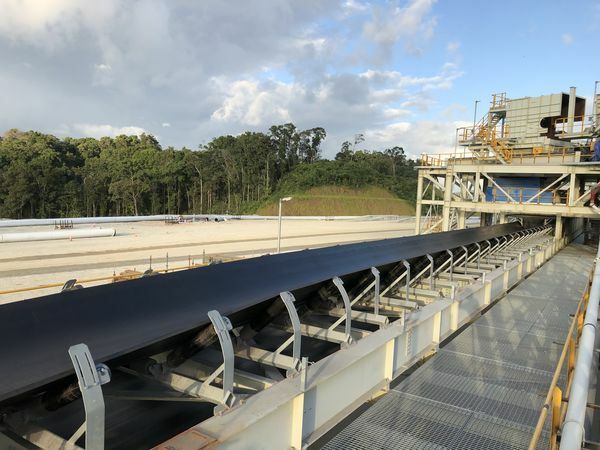 This unique solution for heap leaching and dry tailings stacking combines two proven technologies - the conveyor bridge and the tripper car - in a new way. The lizard decouples the crawler-mounted tripper car from the conveyor bridge, enabling it to be controlled independently of the bridge. Along with new minerals and mining equipment, thyssenkrupp will present a broad range of solutions and services for stockyard and port operations. 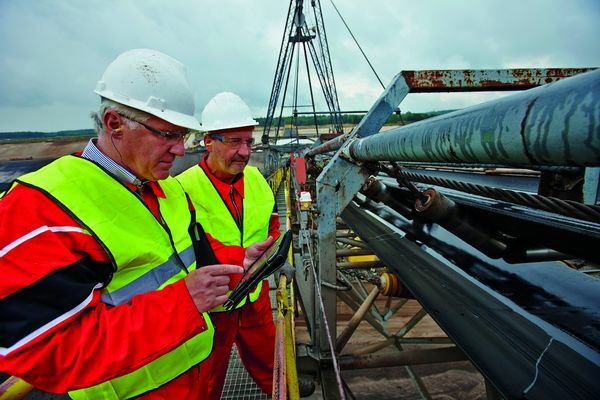 Every mining company and port operator faces the challenge of ensuring the health and safety of its staff and increasing productivity while reducing operational costs. With the fully automated and digitised smart stockyard and port solutions, thyssenkrupp addresses those challenges and helps its customers to stay competitive. thyssenkrupp's services and solutions for smart material handling include digital maintenance assistance systems (MAS), systems for stockpile management and drone-based inspections. In addition, all conveyor systems and handling machines involved in the process function fully automatically and can be operated and controlled from a central control room. Anti-collision systems ensure the safe operation of large-scale equipment. Voith is presenting its newest developments for the mining and construction industries at Bauma, showcasing its wide portfolio of product and service solutions that can help to make mining operations and construction equipment more efficient. Voith has further expanded its portfolio to digital products that enable operators to further increase their driveline performance in various applications. Voith is introducing the latest addition to its TurboBelt TPXL range of fill-controlled couplings; the portfolio now includes 500kW, 800kW and 1,250kW versions. The integrated controller matches the output torque exactly to the startup parameters of the belt conveyor system, thus reducing wear and increasing service life. Due to its high power density, the TurboBelt TPXL range requires only half the volume of conventional couplings and therefore can be easily integrated into drive trains. Voith is also presenting Dtect, an intelligent system that provides real-time data of driveline performance and coupling status. 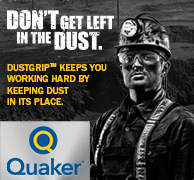 It enables comprehensive monitoring of torque limiting couplings and helps to increase productivity as well as significantly lower production and maintenance costs. 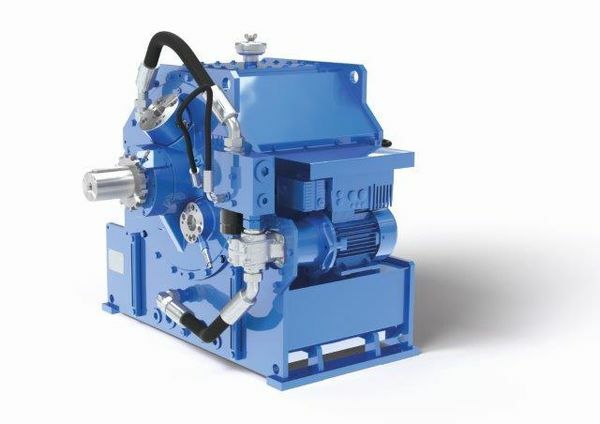 The system was specifically designed to work with Voith couplings, which serve to prevent machine damage in high-value rotating equipment. Further, it can be easily integrated into established process information networks as well as an update to existing couplings. The HMI touch panel offers highest usability, better control and status information for operators and uses visual warning indicators to assist in decision making.